Burrie Smit Onwikkelaars have relaunched phase one of their ± 75 ha Schoongezigt development in Rustenburg, this time with one-off architecturally designed plot and plan packages, as well as plots with a very attractive rebate package of R40 000 on architect’s fees from OliveHill Architects, says Chrisjan van Heerden, marketing manager of CH Professional, who have been employed as lead marketing agents for the estate. 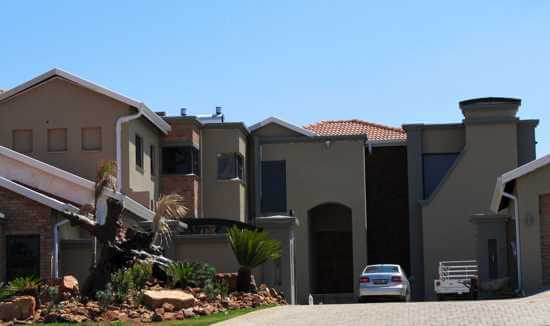 CH Professional has been mandated to control the sales and have appointed nine estate agencies in the area to sell the Schoongezigt properties. In addition to the agents employed to assist with the sales, CH Professional have decided to use the RED-i (Real Estate Development Interactive) Sales Information Management System (SIMS) which helps the agents, the developer and the marketing team keep track of all information pertaining to the development online in real time. Andrew Kumm, a director of RED-I, said that he was very pleased to see BSO and CH Professionals “enthusiastically embracing technology” to enhance the sales management and communication within the project. “I believe, as we start to see more projects coming on stream, the importance of running leaner and more efficient companies will be of utmost importance, and this is where smart technologies such as Red-i will add the necessary value. Systems such as SIMS allow developers to increase their sales nett while at the same time minimising their resource overheads,” he said. Phase one at Schoongezigt has 108 stands, of which there are 43 left to sell, said van Heerden. There are already two completed houses in the development, five homes are under construction and the aesthetic committee has recently approved eight sets of plans for buyers who can now go ahead with their construction. This estate was initially launched five years ago, but the economic slump made it very difficult to get new projects off the ground, said Van Heerden. The re-launch included implementing all necessary infrastructure and security measures on the estate, and establishing a strong Schoongezigt brand. Schoongezigt estate now has full perimeter walling, with biometric fingerprint access at the gate and full monitoring of the entrance and exit by a security company. All the services have been installed for phase one and the roads have been constructed. Strict architectural guidelines at Schoongezigt have been laid down and each set of plans will go to the aesthetic committee for approval before construction can commence. 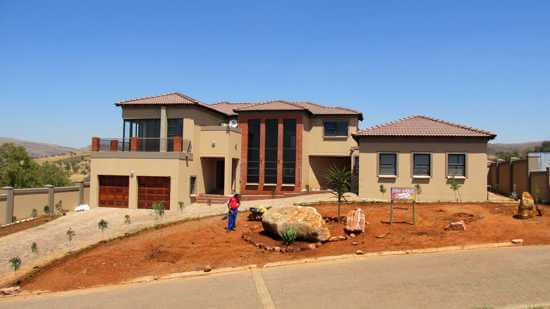 On buying here, said Van Heerden, the buyer has two years to start building his home and one year in which to complete it. Schoongezigt shares a two kilometre border with the Kgaswane nature reserve, creating a “spectacular” natural setting for the estate, said van Heerden. The boundary fence has been constructed to maximise on the views. In keeping with the attention on security, the boundary has a double fence, with a three metre no-go zone, one side of which is electrified. A hiking trail with bird hides and picnic sites is planned along a twenty five metre building restriction line on the nature reserve boundary.